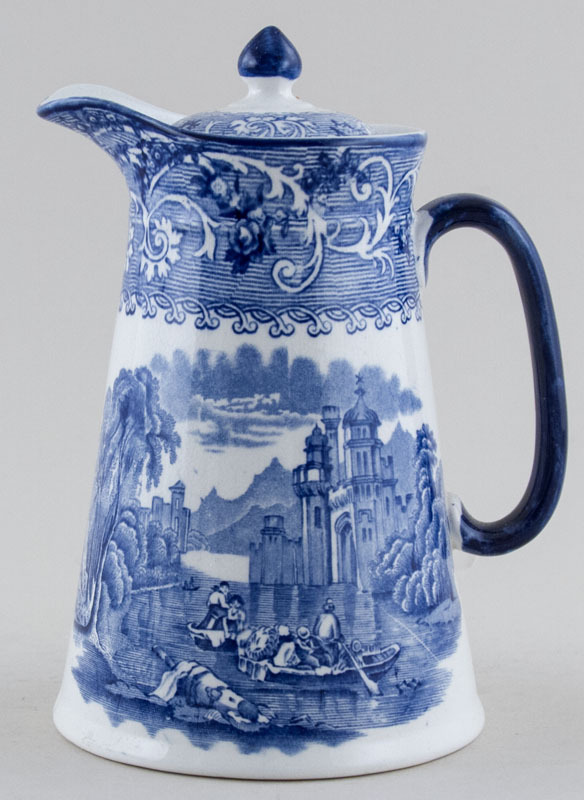 Fabulous lidded jug with solid blue handle and teardrop finial to the lid. Backstamp: Venice Ridgways England. Light all over crazing with a tiny blemish on the lid, overall excellent condition.